The bench of justices A K Sikri and Ashok Bhushan was hearing PIL filed by kid petitioners- Arjun Gopal, Aarav Bhandari and Zoya Rao Bhasin, all aged between three and four years. 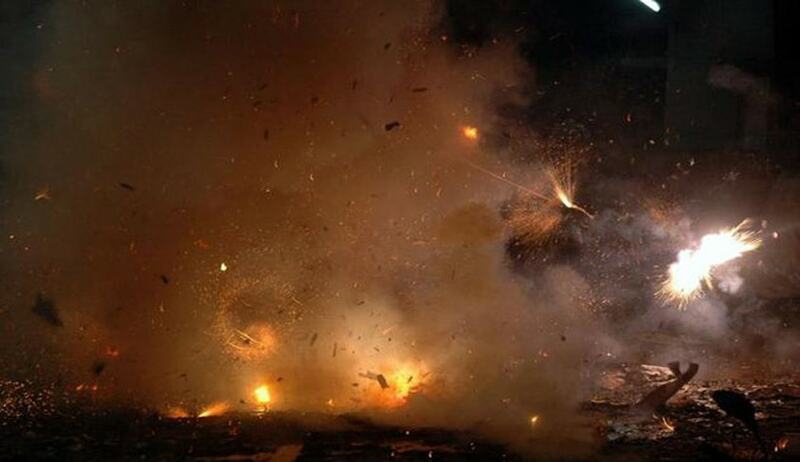 Their lawyer Gopal Sankaranarayanan sought a complete ban on sale,purchase and transportation of fire crackers. We know in each household, the children are affected. 28 to 30 per cent children we know suffer from ailments like asthma and bronchitis owing to the harmful effects of smoke. But do we need a complete ban and control or regulate the sale for a minimal effect, that is what we have to decide, Justice A K Sikri said. Kumar told the court about his own experiences as a surgeon and how young lungs are grey and that “everyone has become a smoker” in Delhi. He showed graphic photographs of lungs and narrated how the spike of PM2.5 during Diwali is fatal with even an increase of 10 microns having a substantial effect on the mortality rate. The plea by kids explained how children were the worst-affected by pollution, saying "their lungs are not fully developed, making their systems more vulnerable and prone to lung disease, asthma, coughing, bronchitis, and retarded development of nervous system and cognitive impairment". The SC had on October 9 last year just before Diwali suspended the sale of firecrackers in Delhi and NCR till November 1 in a bid to test whether the festival without firecrackers will have a "positive effect" on the health of citizens and a steadily deteriorating air quality. It was to test itself to find out whether there would be a positive effect of the ban on the air quality. Sankaranarayanan pointed out that in three previous orders, the court had recorded that fireworks cause pollution and that the PM 2.5 levels spike during diwali cause irreversible damage to the public, particularly to children and the aged.